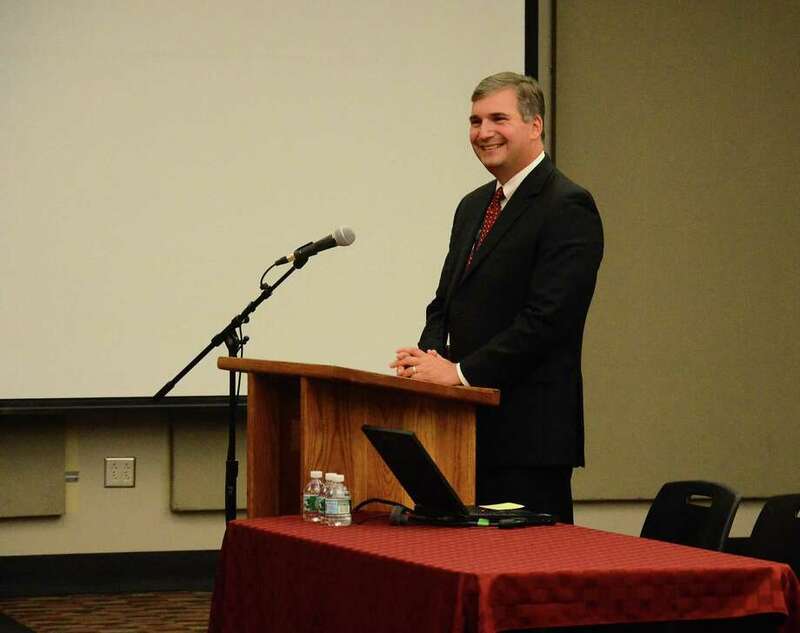 NEW CANAAN — Three more years for Superintendent of Schools Dr. Bryan Luizzi. The Board of Education, save for Penny Rashin who wasn’t present, voted unanimously to extend Luizzi’s contract for three years at an executive session according to their June 4 meeting minutes. Board of Education Chairman Dionna Carlson said that there was overwhelming support for Luizzi and that she was confident in his experience as superintendent. Luizzi’s salary will go up by three percent each year. Earning $262,248 for 2017, Luizzi will see his salary go up to $286,565 by 2021. As of press time, more than a month after the superintendent’s extension was voted upon, a copy of the renewed contract was not provided by the Board of Education. Luizzi, who is currently on vacation according to his email response, was unavailable for comment. Luizzi has been superintendent of the district since July 2014 when he first served in an interim capacity. Three and a half months later, Luizzi was appointed unanimously by the Board of Education.